Hey friends! I hope you had a fabulous July 4th weekend. We didn’t do anything big…ate some burgers and set off a few fireworks in our driveway after baby went to bed. Pretty low key. Maybe next year we will venture to the lake to watch the fireworks show. I found out this past week it ranks like 24th in the nation?! I will say, we’ve been a few times and it never disappoints. 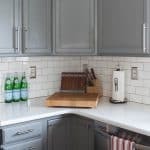 The 80’s looking tile is gone and I can’t wait to replace it with white subway tile! 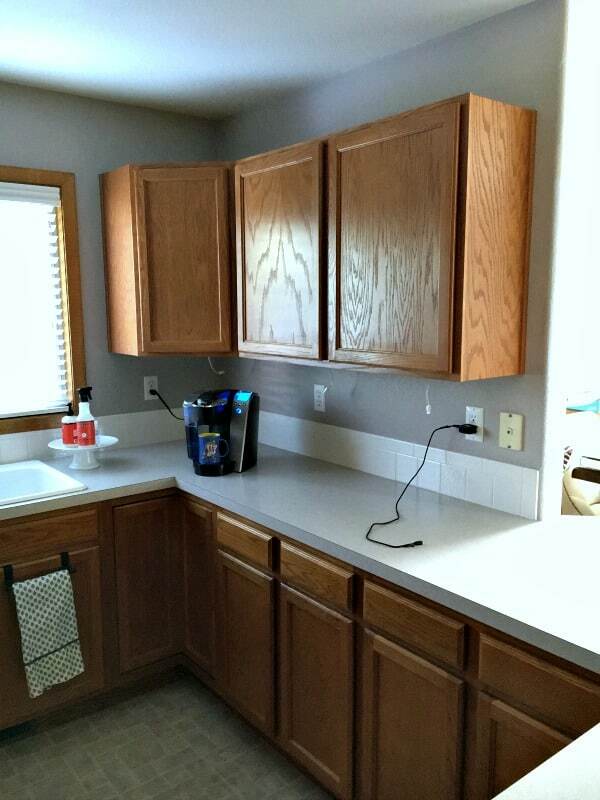 But before that can happen I need my new counter tops. So… those are finally going to be installed this Friday. Hallelujah! 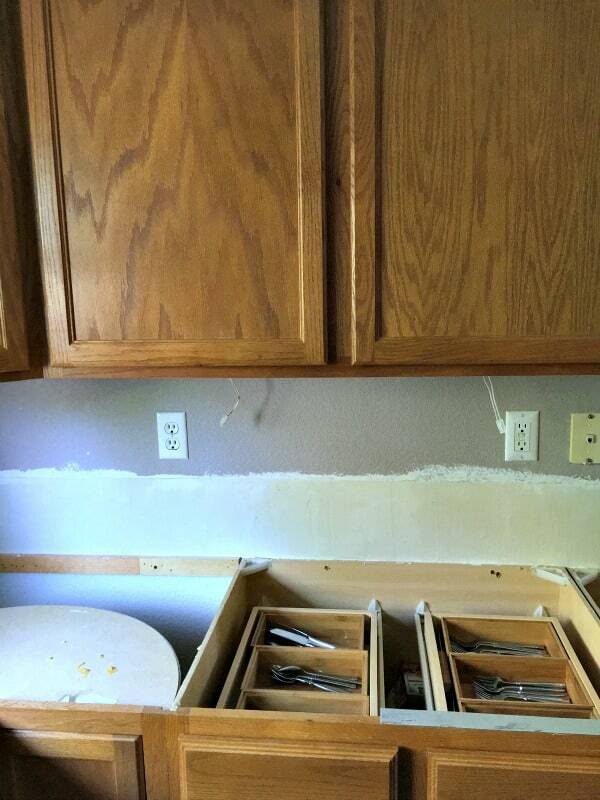 I knew remodeling a kitchen would require some inconveniences…I did. 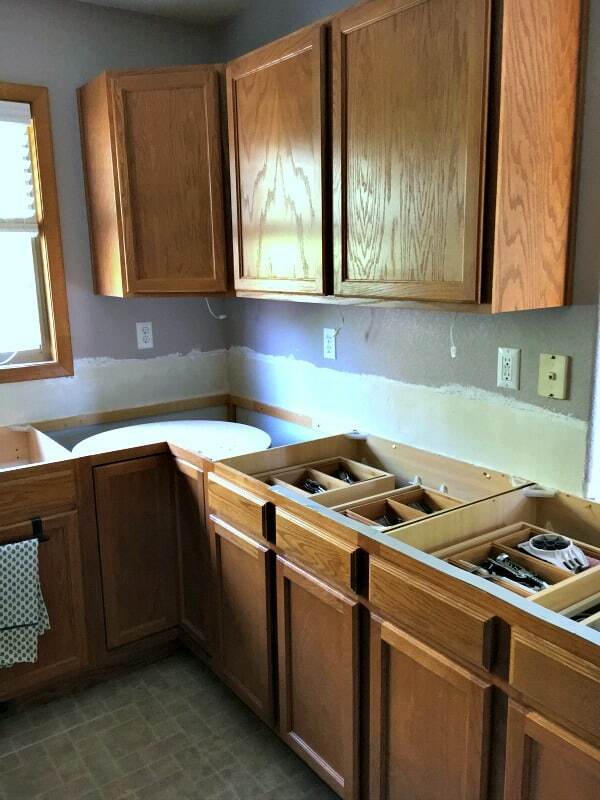 No sink, no water, no counters. I got this. I thought maybe a couple weeks of lots of paper plates and some dishes in the bathroom sink…but it will be a MONTH people! 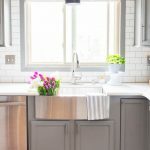 But on a positive note, I installed my new apron sink and I can’t wait to show you that along with a full tutorial on how I did it! 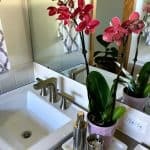 Do you remember my inspiration board for this space that I shared in this post? 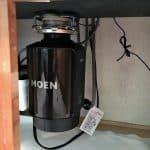 I know I’m going to love using this new deep sink….so stinkin’ excited. Come on Friday! 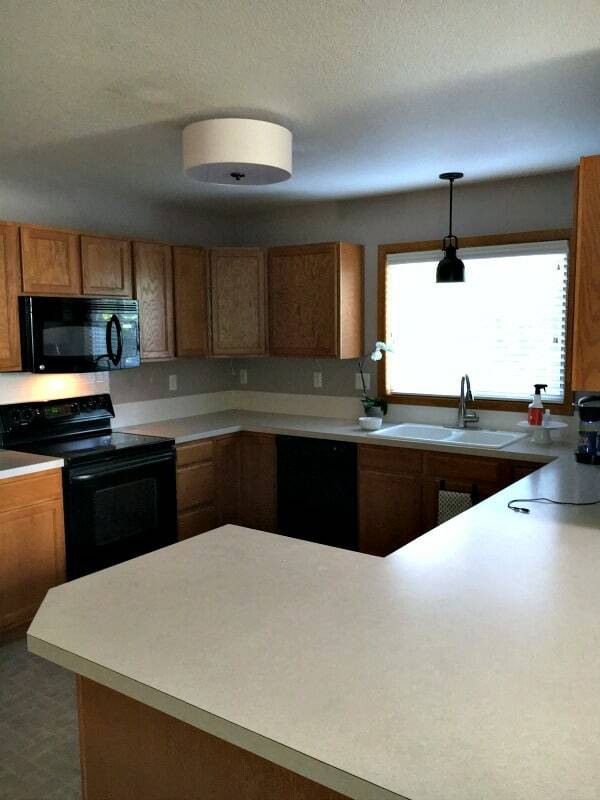 I told my husband once those counters are installed, I’m going to climb up on them and give them the biggest hug ever! 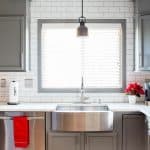 Have you experienced a kitchen remodel before? How long were you forced to be “patient”? Lol, I was kinda expecting to see before and after pics, but it just got worse! Lol!! It will all be so worth it when you’re done!!! 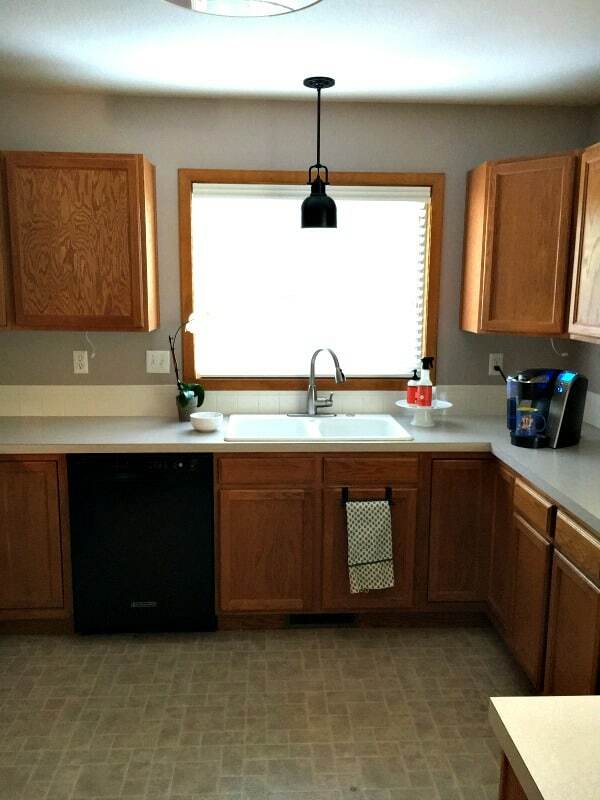 I would love if we could redo our kitchen, but our worst problem is that it is just too small. 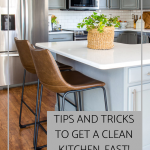 Thanks for sharing this at the Family Joy Linkup! 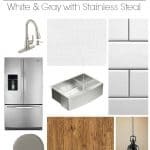 I love posts like these and can’t wait to see how your kitchen turns out! Thanks so much for sharing with us at Share The Wealth Sunday! I hope you’ll share the rest of the remodeling posts too! 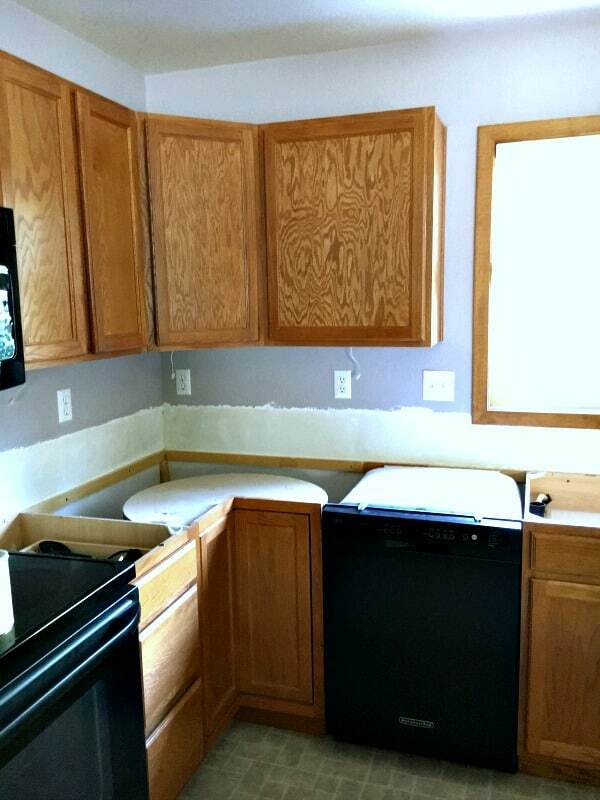 We completely gutted our kitchen 8 years ago. It was such a huge project but well worth it. Things seem to be coming along for you! Ours is at a standstill. I’m dying to get it done. You a little further than us at this point. Thanks for sharing at the Inspiration Spotlight party. Shared.